A friend of mine is a veteran in crochet and cross-stitch. However, she has been way to busy with work lately, not making a single crochet stitch! 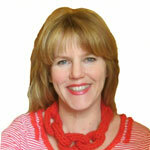 Last week she expressed her dream to go back to her beloved craft again: crochet!!! 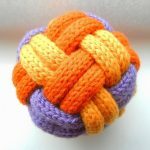 To help her accomplish this goal, I created this page packed with links to the best free crochet patterns that I discovered. At the end of the article, you can find an overview of places to get even more free crochet patterns! 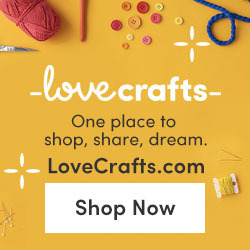 To inspire my friend and all the other crochet lovers out there in the big wide world, here is my overview of lovely, lovely crochet crafts to make. Many projects are easy and won’t take much time. Others will be finished just in time to become Christmas gifts. 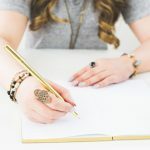 After reviewing loads of directories with free crochet patterns, here are My Top Choices – Crochet Patterns. 1/ Free Crochet Pattern of an Irish Lace Scarf. It does NOT get better than this. Stunningly beautiful !!!!! Apparently it’s also easy to make. And that fact make this free online crochet pattern an A+. It is one of 1200 free patterns can be found at lionbrand.com. Some registration is required if you choose more than 1 pattern. 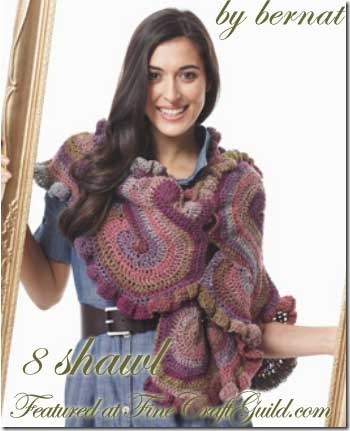 This scarf-necklace 1 of the 30 fun & funky crochet patterns found in this book. This highly-recommended, easy crochet pattern book is almost free… for sale now at Amazon for only 84 cts…. Can’t beat that… No matter what, check out the Amazon link as they’ll let you look inside the book before you buy, so you can get really inspired first. 3/ I think I’d feel like an elf in this ‘wow, wow, wow’ anthropologie-style outfit. I sure can see myself wearing this jacket!!! Lovely. This is a ‘more involved’ crocheted cardigan – jacket – top and I would love it if someone would make this for me (as I am not sure I would be capable myself)…. Something to ask my mom… ?! Not sure. Maybe I will have to live up to the occasion myself. I actually like the color featured here as it would go well with the color of my eyes, or I’d like it in white. This free online crochet pattern is from Caron.com – an excellent site for free online crochet patterns. I am placing this at the #3 spot, only because I don’t think I could make it myself. However, in terms of lovability, well, I’d rate this pattern right up there with my rose scarf at the #1 spot. 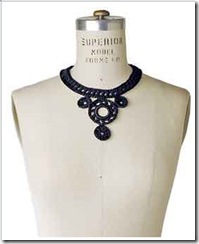 4/ This is an unusually sophisticated, crochet bib necklace.It looks pretty & easy to make. Absolutely for beginners. I can see me making some of these as XMAS gifts. 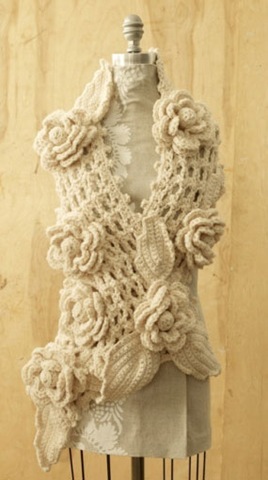 Actually this is only one of nice lot of rather sophisticated crochet patterns to be found at Berroco.com. Enjoy this crochet video tutorial on how to do the double base chain in the pattern. 5/ Crochet cherry earrings: a fun summer craft for when your niece is in town. Find the tutorial at roxycraft.com/crochet_cherry_pickers.htm. 6/ This lovely crochet flower pillow at CrochetMe.com definitely called out ‘crochet me’. 7/ Edgy Etsy boots. Etsy does not only feature loads of inexpensive craft articles. Some vendors actually sell craft supplies. This pattern actually no longer available, but this boot design is so inspirational, and so is the write-up by the designer of who the design came about. So, just for inspiration, I’ve included it anyway. 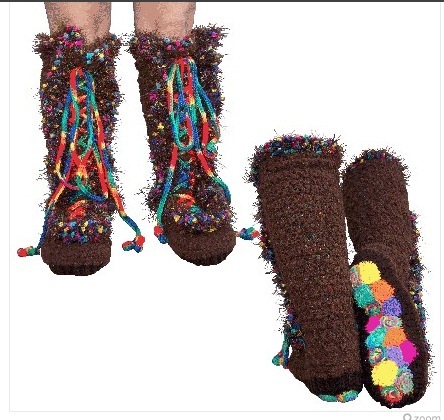 To find an online free crochet pattern that you can adjust to look like these edgy boots, click over to any of the pattern directories that I’m referring to below. 8/ This felted cuddly cat bed that I found on the forum at Crochetville, is absolutely adorable. This free pattern can of course be made in colors to better befit your own interior design style. Personally I can see this project done in 2 colors ‘white’: say cream and and pure white, with different rows of textures and tones. That would bring sophistication to this design. As well, it’s a home decoration crochet solution! 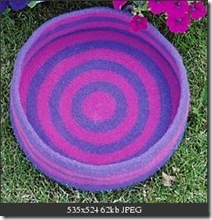 I need several baskets of different sizes, and this pattern can be downsized to fit that purpose. Perfect. BTW. 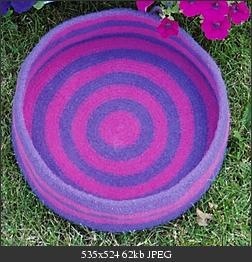 On the forum, there are ‘before & after’ pictures of the felting process, which makes you realize that felting is a ‘must’ for this project to get it to come out right: whimsical and functional. A. http://www.coatsandclark.com/Crafts/Crochet/Projects/ – the library of projects by this yarn seller is organised by type of project, each adorned with a picture. 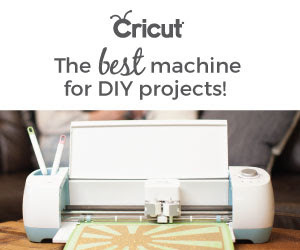 There are other types of free craft tutorials here as well. Well worth visiting this directory. A favorite project that I found is a lovely Christmas blanket. Super easy and fun… Oh, and I might just skip crocheting the blanket itself, and just crochet the pretty snowflakes onto a blue blanket I already own. 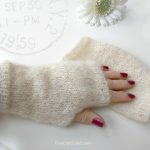 B. UPDATE: Sugarncream.com is now replaced with Yarnspirations.com, which also hosts the gpatterns of Bernat & Patons. 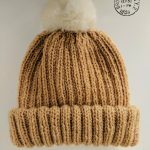 Augarncream.com – large list of free crochet patterns, quite a few good ones, but must sign up to see them in detail. Excellent overview with pictures so it is easy to go to what you like at a glance. This again is a yarn seller’s site. C & D. http://www.bernat.com/ & PatonsYarns.com/ – nice crochet projects with pictures but must sign up to gain access to free patterns. E. BTW, for some reason it was easy for me to enter the lionbrand.com free crochet craft projects database without any ado (see inspiring crochet craft project #1), however, it appears that there are sign-in requirements for this site as well. As this site seems to have well over ‘000 crochet and knitting patterns, well, it’s worth it. When you are feeling ‘lucky’ you can try the sites below, as they have lots and lots of projects, but no picture galleries. This means that chances are you’ll have to click a hundred times before you find anything beautiful to make. But… you might just get lucky. 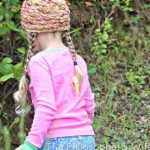 http://www.crochetpatterncentral.com – there are actually some good ideas here, but oh boy, is it time consuming to find them. Sign up with lionbrand.com and make my #1 scarf. Then, send me the scarf (ha, ha..). 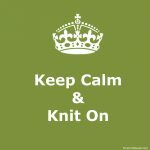 No seriously, … I meant to say: send us a photo of your gorgeous crocheted scarf plus a write up of your experience with the pattern, and I’ll feature you here on the blog. OK?! PS. 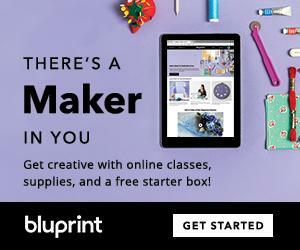 If you want to more of the best free craft ideas, templates, tutorials, be sure to sign up for our newsletter. Use the sign-up box on the top left of this page. If you refer to receive another free eBook rather than the one on watercolors, email me what free craft eBook you would like to get instead. I might have just the one for you!! Those designs are great! I really love the boots – it’s too bad they’re no longer available. They look fun and warm, too! Thanks for the wonderful list! You are welcome, Mortira. These gorgeous designs were buried on the Internet. I took me days to unearthen them, but I think too they are worth it. I have a few crocheted pieces around but find most designs old-fashioned looking. These however, I will wear in a flash! Show me some pictures if you make any of them, okay?! Sign up for the newsletter and you’ll get some more of them. Don’t i love that Irish Scraf, I knit but have a hard time with patterns, but I am going to give that a go.